The biopharmaceutical company SunRegen Healthcare develops a therapy for neurodegenerative eye diseases like Optic Atrophy. 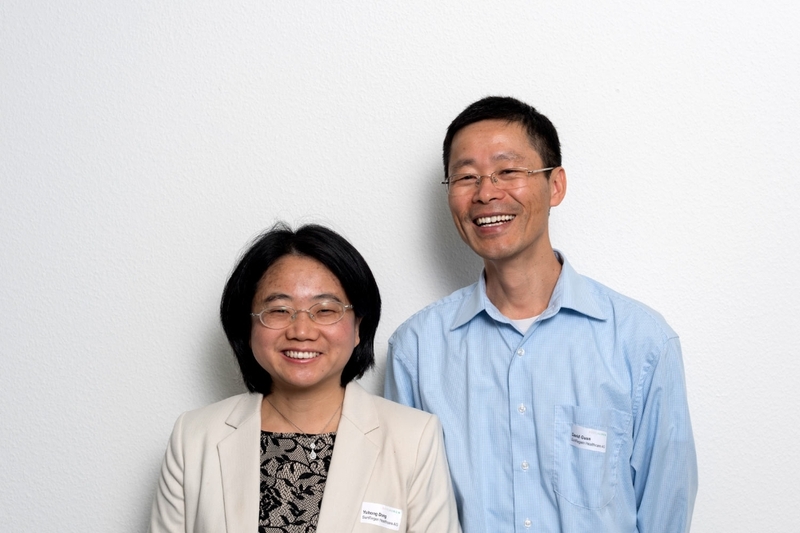 The two co-founders and managers Dr. Dong Yuhong and Mr. David Guan moved their young startup to the Switzerland Innovation Park Basel Area in Allschwil in January 2019. In 2020 they hope to reach the next milestone and move their project from preclinical to clinical stage for their lead compound SBC003. This synthetic molecule is derived from a natural active ingredient that can be found in a medical herb used in the oriental medicine. Yuhong and David plan to test their compound for ALS as another target indication. Further, they want to test SBC003 for other neurological and neuromuscular diseases such as Alzheimer’s, Parkinson’s or Huntington’s disease. SunRegen Healthcare is one of the participants of the first round of the BaseLaunch accelerator. Back in 2017, Yuhong and David reached Phase I of the program, benefitting from customized coaching and funding for three months. Although they were not selected for phase II, they persisted in building their startup. In 2018, they won the BIO-Europe 2018 Startup Slam Competition, held in Copenhagen and gained access to a top-tier mentoring program with industry experts from Johnson & Johnson.